This blog is a shout out to Vincenzo’s Plate fan, Martin Phillips who has been supporting me since the beginning of my Vincenzo’s Plate adventure. 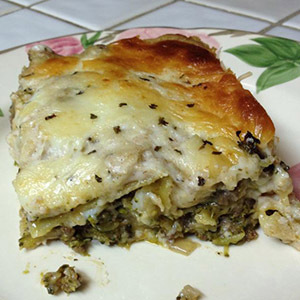 He is a passionate home cook from Lodi, California who loves food and his family. Martin has created the Blog inhousecook.blogspot.com.au where you can search for Lasagna and he talks about his yummy recipes and has all sorts of photos and cooking tips. Martin was the very first follower to recreate one of my favorite Vincenzo’s Plate recipe “Lasagna Bianca” 9white lasagna) and when he made it, he shared it on his social media, and made me the happiest man in the world, not because he posted it, but because he took the time to recreate this delicious piece of art (a recipe close to my heart) especially to share with his beautiful family. I have the picture he shared right here! Doesn’t it look great?! I love the fact that even though we are very far away from each other (he is in California and I am in Sydney, Australia) every day, we get to talk about all things food and if we were closer I am sure we would have made a video recipe together! You never know, maybe one day! You can follow “In house cook” on Facebook or Twitter @grnmn1. Martin, I look forward to reading your next blog post! If any of you have made one of my recipes, make sure you share photos and your experience with me by following one of my channels on social media and tagging me @vincenzosplate so I can see all of your creations. Nothing makes me more excited than seeing my traditional home cooked meals inside your very own kitchens and hearing from you when you get to taste them! 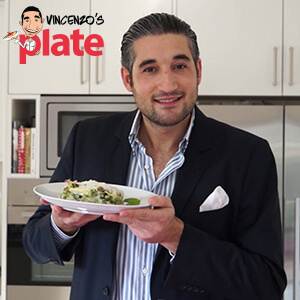 What Vincenzo’s Plate recipe did you create recently? Share it with me in the comments below so I can hear all about it.